Corporate culture is an important part of attracting, hiring and retaining top talent. If your organization isn't taking steps to codify and enforce the culture you want, you may end up with exactly the one you don't. Culture is what guides and drives a business, for better or worse. The set of values, mission, attitude and atmosphere that shape your work environment has a significant impact on results. But if you allow your company culture to evolve organically without guidelines from executives, and without input from workers about what's important to them, you could wind up with exactly what you don't want: a toxic environment that no longer attracts and retains top talent and has difficulty functioning. 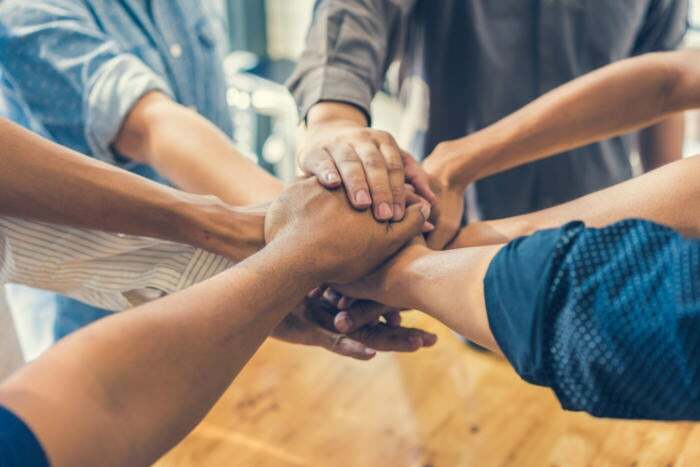 Here is a look at how you can shape and foster a corporate culture that aligns with your company mission -- and how to get it back on track should it falter. The first step in shaping your organization’s culture is to codify it in a culture statement -- and own it. Without one, your organization will be challenged in attracting the kind of talent you want. "There's a huge difference between owning your culture and being able to point to it as a recruiting, hiring and retention tool, and having culture be a deterrent to the kind of people you want to hire," says Donna Levin, co-founder and previously vice president of policy, CSR and workplace solutions at Care.com, and now a senior lecturer in the Entrepreneurship & Innovation track at MIT Sloan School of Management. "One of the first things we did when starting Care.com was to sit down and describe the kind of workplace we wanted; the kinds of people we wanted to work for and with, and set to translate those into action. Then, we used those traits, those values and qualities to hire," Levin says. For Care.com, Levin says the concept of “There for you” became the linchpin of the organization's culture, encompassing values like transparency, open communication, innovation, an entrepreneurial spirit, respect and humility. It’s also important to realize that culture can -- and likely should -- evolve, especially as your organization grows. Here, having avenues for employee input are crucial. "Not only do we use this clearly defined culture statement when we're recruiting and hiring, we use this as an evaluation tool for our yearly performance assessments," Levin says. "We not only evaluate how our people are aligning with the culture, but whether the culture is aligning with the people. For instance, we used to have 'Having Fun' as one of our major culture values. But after a while we decided to remove that -- so many people were saying that they felt pressure to have fun every day, and if that wasn't happening, it just added extra stress," she laughs. The major danger in not codifying and regularly evaluating your corporate culture is that you'll make “bad fit” hires and end up with high turnover, says Levin, but there are other dangers in areas like reputation and recruiting. "We found through Care.com's 2012 survey of our customers that turnover was costing, on average, 150 percent of each lost employees' salary -- dealing with the disruption, search, interviewing, all of that," Levin says. "If your culture's toxic, you're going to see this. And you'll also see your reputation take a hit as people turn to social media to tell everyone how awful their experience was," she says. Since word-of-mouth is one of a company's best recruiting tools, this factor alone can have a huge impact on business success, says Levin. "If you have a company of superstars, wouldn't you want to pull in people like them from their personal networks?" she says. Without a solid culture, whatever that may be, you may be destined to bad hires and high turnover. The “Glassdoor effect” is absolutely real, and it’s a major cultural influence that companies shouldn’t ignore, says Joyce Maroney, senior director of customer marketing and director of The Workforce Institute at Kronos. If you're not actively encouraging your employees to speak out about what's both good and bad in your organization and its culture, other outlets, such as Glassdoor, InHerSight, Indeed and Kununu, allow them to anonymously post their thoughts, feelings and experiences with your company, and, for better or worse, they will use them, Maroney says. The “Glassdoor” effect can either help you or hurt you, so try to make sure you're the “first responder” when it comes to issues in the workplace.